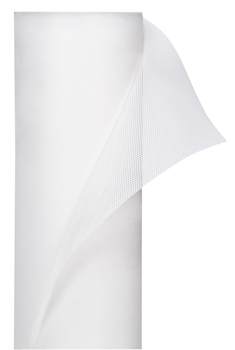 ALSAN FLEECE P is a perforated synthetic-fibre fleece specially designed for use with ALSAN PMMA waterproofing resins. The fleece enables the layer thickness to be controlled when applying waterproofing resins and also has a strengthening and crack-bridging effect in the hardened waterproofing layer. Specific synthetic-fibre fleece with a weight per unit area of 110 g/m².